The Greek word comfort means “called to one’s side to help.” It’s the comfort of JESUS that we will always need in our lives. Let’s keep praying for all the people that have been hit with tragedies and tough times in their lives. GOD’S peace and HIS comfort. There is more to living for JESUS than just seeing that we finish the race and make it to heaven. If we fail to stop along the way and help someone who has fallen-like we too have done-then we have completely misunderstood the call to be HIS disciples. Have you ever been truly comforted by JESUS? Have you ever felt HIS loving arms around you? When you get the HOLY GHOST, you’ll feel the comfort from the inside out. 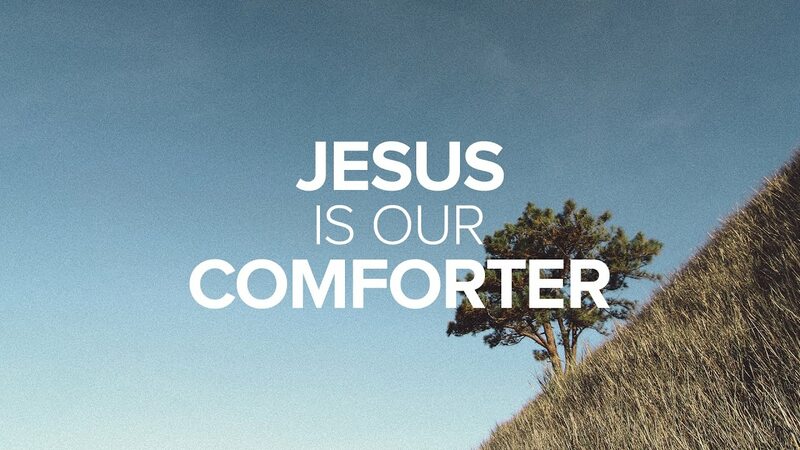 With HIS comfort, you got it.